2. Add the mustard seeds and asafoetida powder. 3. Fry for 15 to 20 seconds. 4. Add the chopped bhindis and cook for 2 to 3 minutes. 5. Add the turmeric powder, salt and mix well. 6. Reduce flame to low. 7. Cook for another 7 to 8 minutes or till the bhindi’s are lightly browned. 8. Add cumin powder, coriander powder and red chilli powder. 10. Cook for another minute and remove. 11. Transfer to a serving plate and serve hot with rice or naan. 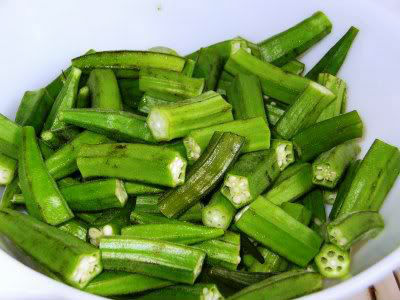 Feel free to comment or share your thoughts on this Gujarati Bhindi Recipe from Awesome Cuisine.